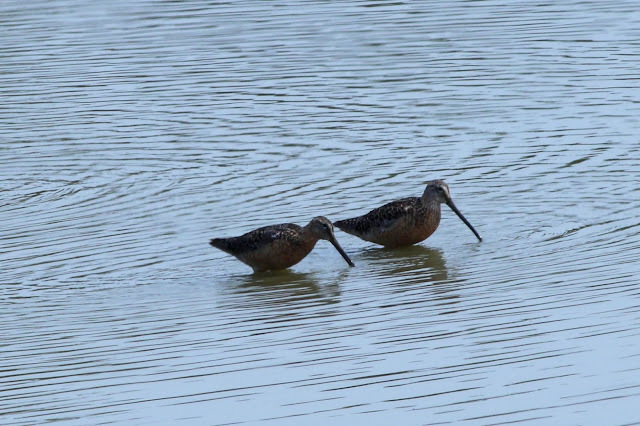 August can be a good month for birding, especially with shorebird migration heating up. 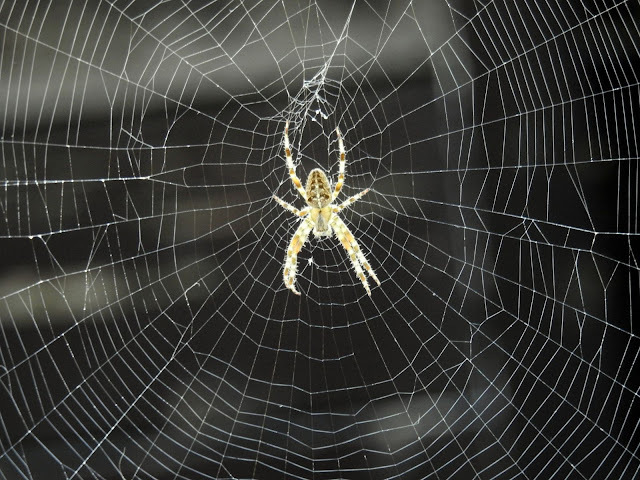 I did not have a lot of success on my outings, so the posts are few. The big event of the month was our trip to see the solar eclipse in Oregon on August 21. 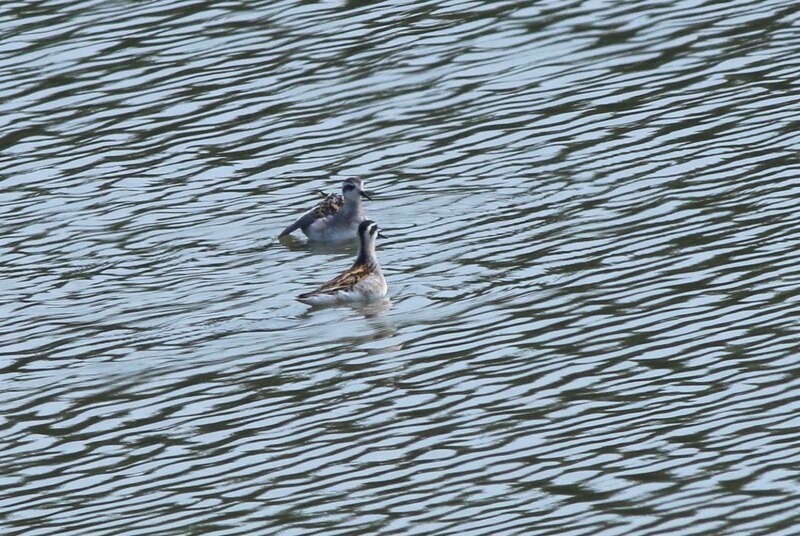 There were reports of Phalaropes at Reifel, so I headed there on this Sunday morning. I made my way along the Southwest Marsh trail and took some more photos of the resident Great Blue Heron. This neck up shot is kind of creepy. 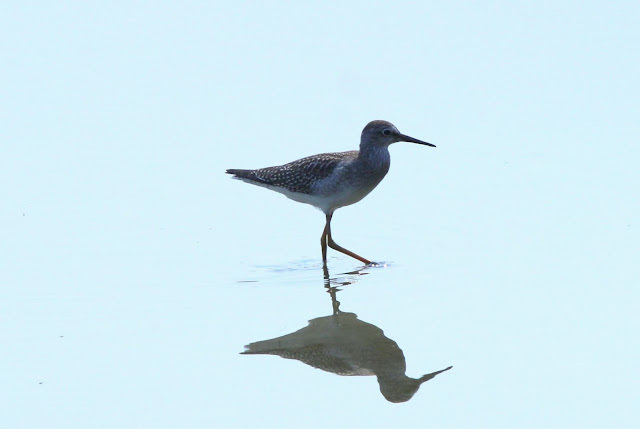 I finally had a positive sighting of a Lesser Yellowlegs. 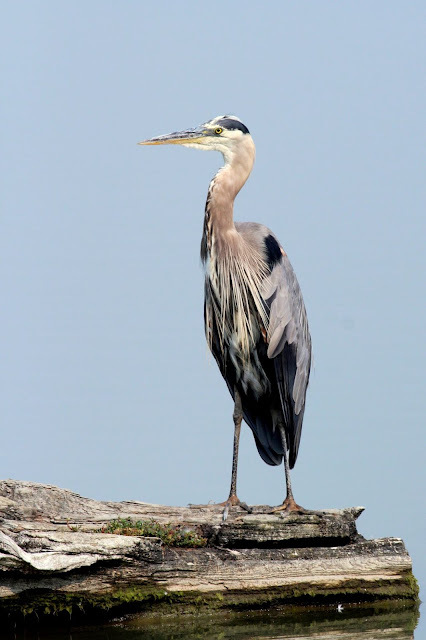 The shape of the bird, the shorter downturned bill and the overall look of the bird distinguish it from its Greater cousin. Off in the distance some birders were studying two pale looking shorebirds. 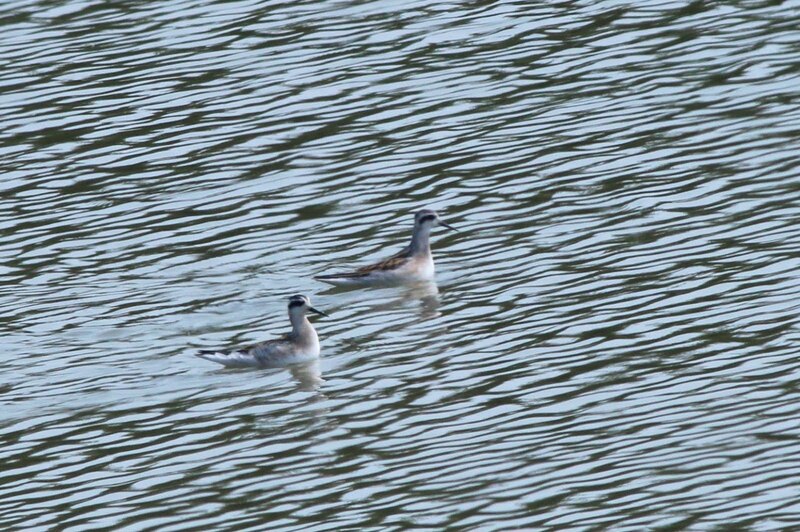 They were definitely Phalaropes, but were they Wilson's or Red Necked? I see Wilson's when they are in breeding (Alternate) plumage, but was not quite sure about these winter (Basic) plumage birds. 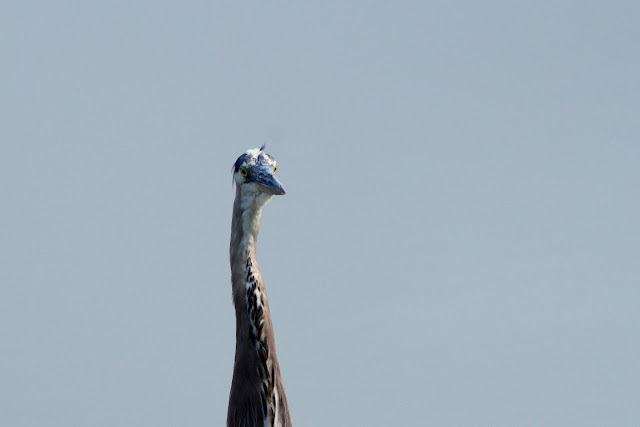 The dark around the eyes is seen in Wilson's in Breeding plumage, but they don't have it in Basic. 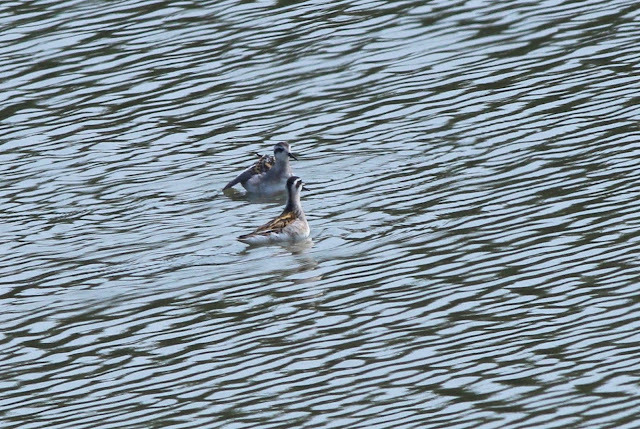 However, red-necked in Basic plumage do have the black eyebrows. After seeing the photos at home, I concluded these were Red-necked. This shot was the best of the ones I took. A more common shorebird at Reifel is the Long-billed Dowitcher. They were here in good numbers on this Sunday. I took this photo a couple of weeks later at Reifel, it was the only noteworthy photo on that outing. This spider had the entrance to a blind completely blocked. The tides were favourable on this Tuesday evening, so I made a post-supper visit to Boundary Bay at 104 St. 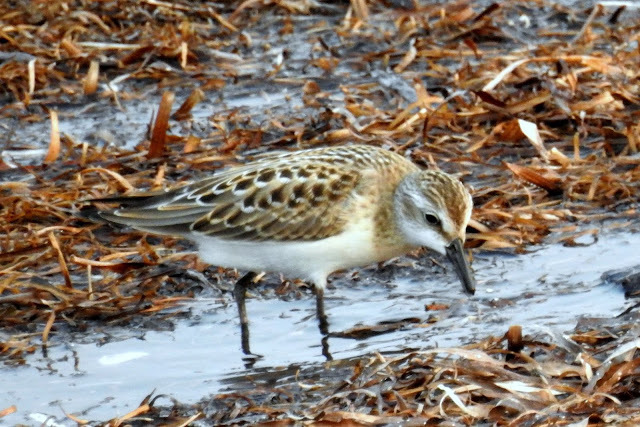 I did see some small shorebirds on this outing, but photographic conditions were tough. 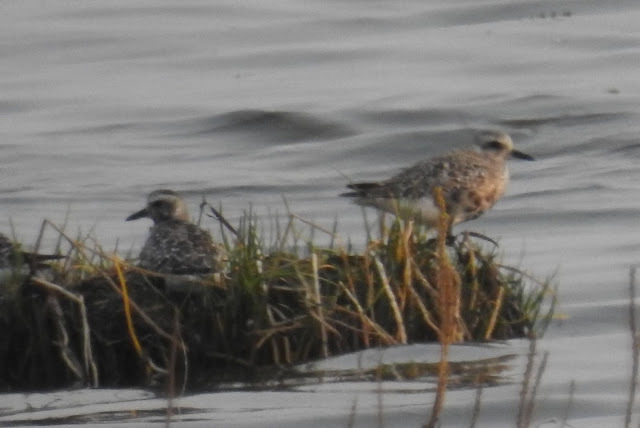 The most common shorebird at this time of year is the Black-bellied Plover. they are in their Basic plumage by this time, so they are somewhat bland looking. This photo was taken at a long distance, but it's the only one I have of this species so far this year. There was a period of time when there were numerous peeps close to shore. This photo has two common peeps (small shorebirds), a Semipalmated and a Western Sandpiper. The Semipalmated can be difficult to tell from the Western, but the shorter stubbier bill on the bird on the left is a good diagnostic. That bird is also greyer than the one on the right. 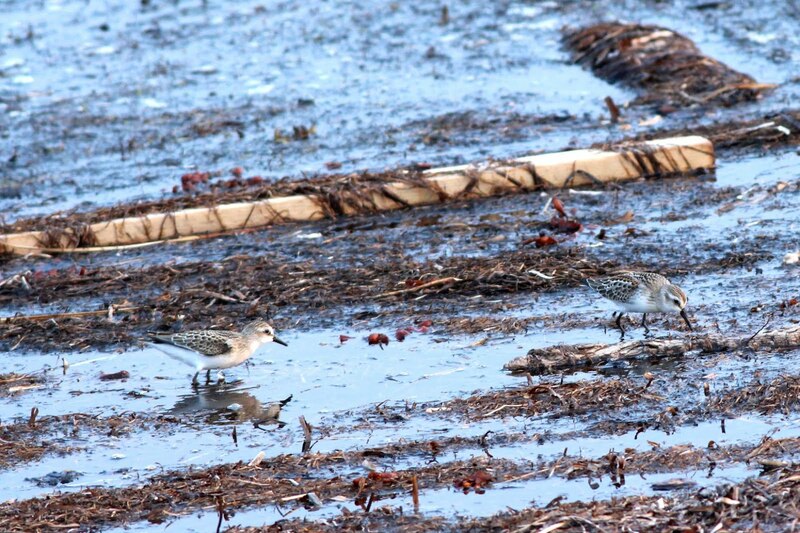 For a brief period, I had two slightly larger sandpipers in front of me. The long wing projection is a good identifier for this species. 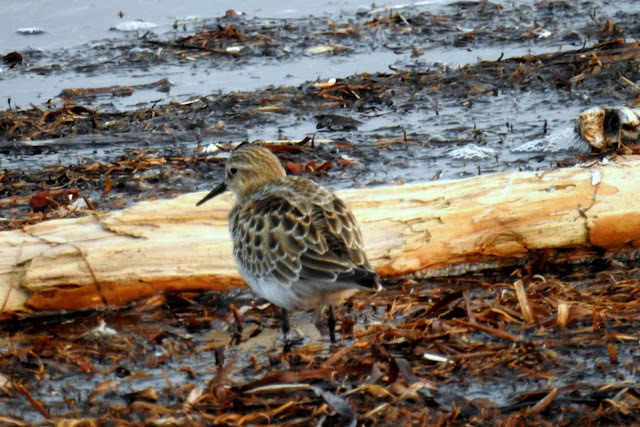 The last bird I saw was a Dunlin, a much larger bird with a very long bill. I did a whole lot of walking to get the three photos below. 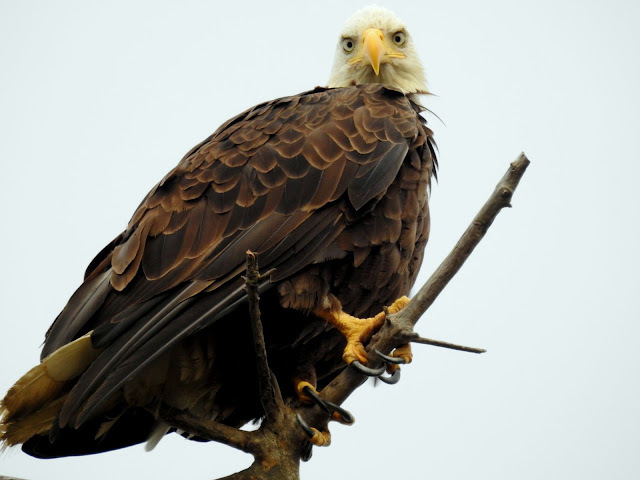 Actually this Eagle was right by the parking lot at the Airpark at 104 St. The walking happened after the photo. For a while I had this identified as a Semipalmated Plover, but I've changed my mind to Killdeer. 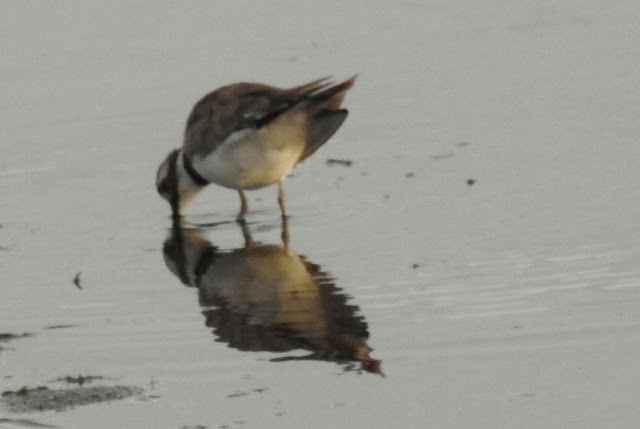 That was my impression at the time, and the other photos I have look more like a Killdeer. 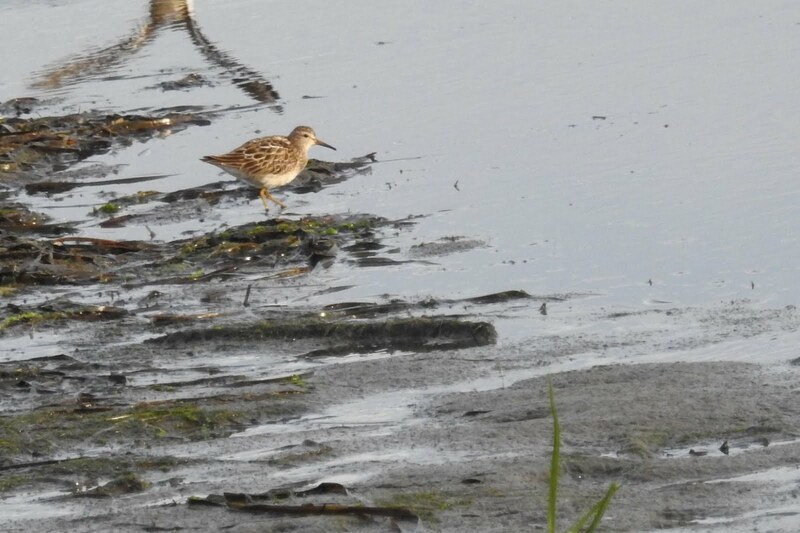 The last bird is a Pectoral Sandpiper, normally quite common along Boundary Bay. This is the only one I've seen this year. 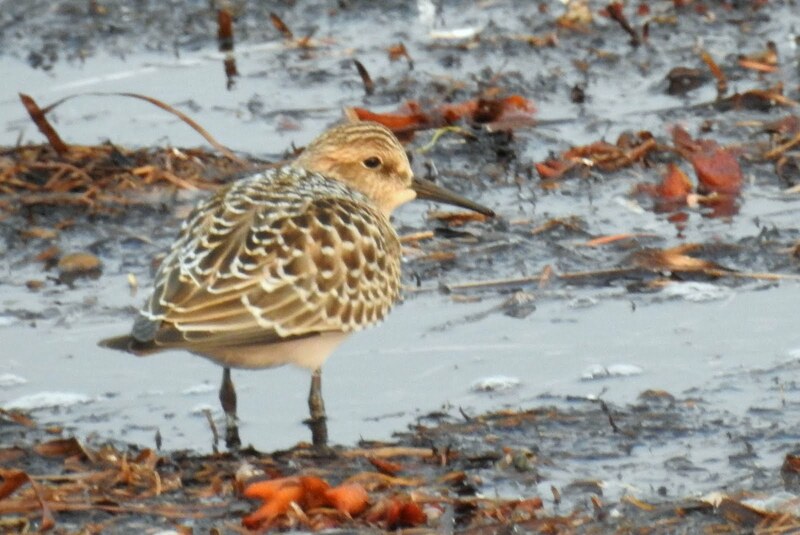 That was it for August, there'd be some more shorebirds in September.